John Dunlap Prints a $125,000 Lancaster Almanac. And the First Declaration of Independence. John Dunlap was a really-big winner. 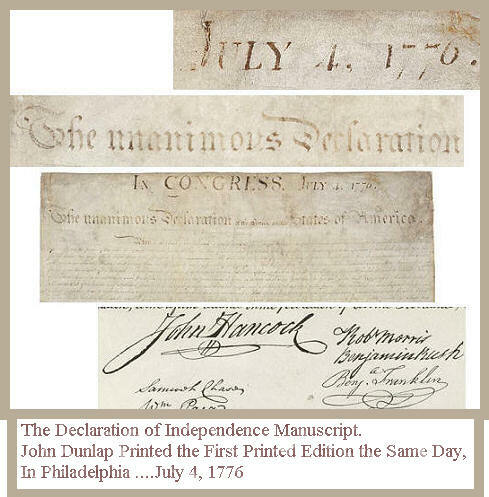 History will always applaud John Dunlap for printing the first printed Declaration of Independence, one of the most celebrated documents of our country. History also celebrates John Dunalp for printing and publishing America's first successful daily newspaper, The Pennsylvania Packet. To top it all off, John won really big in real estate. He owned an entire city block in Philadelphia (from Market to Chestnut, from 11th to 12th). Not to mention his 98,000 acres in Kentucky. History often forgets that John began his printing career as a young printer's apprentice here in Lancaster City. But there's no need for history to forget about the $125,000.00 almanac he printed here in Lancaster. John Dunlap was born in 1744, in County Tyrone, today's Northern Ireland, into a Presbyterian Scots-Irish family. When John was around 10 years old, his parents sent him here to Lancaster to apprentice in the print shop of his uncle, William Dunlap. 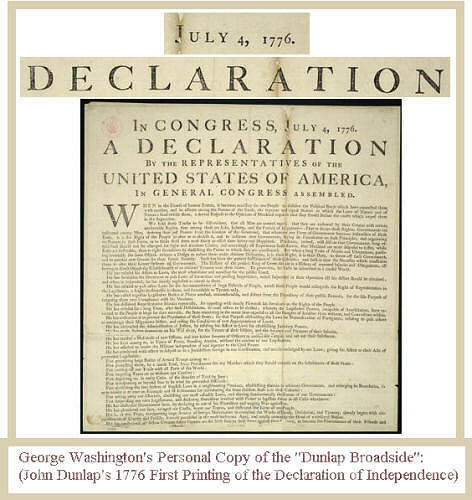 After a few years John and his Uncle William moved their printing business to Philadelphia, where in 1776 John printed his greatest claim to fame, the Declaration of Independence. John Dunlap returned to Lancaster in 1777, to avoid the British occupation of Philadelphia during the Revolutionary War. It was here in Lancaster, in that same year, that he printed his $125,000.00 Dunlap Almanac. ...and you can buy it, today, from Bill Reese, the Connecticut bookseller who is a premier authority on printed Americana. It is titled Father Abraham's Pocket Almanack. This little almanac, wrapped in blue paper covers, is small enough to fit in your pocket. But it is big enough to feature the second printing of the first official Articles of Confederation. This almanac is the second-most-important item ever printed in Lancaster County. The first-most-important item printed here in Lancaster had appeared approximately one month earlier, when Francis Bailey printed the first official printing of these same Articles of Confederation. (But Bailey's Articles aren't for sale, unless you can convince Williams College in Massachusetts to sell theirs.) At $125,000.00, this little Dunlap Almanac, with its 13 Articles of Confederation, is only $9,615 per Article. It's a bargain.